"The Cheap ... the Sleazy ... the Links--!" No Good at All, I say ...! Here, for your reading (and surfing) pleasure, are a few of the CR-related pages I visit often, with a comment or two as well. Alas, Court Reporting Help is no more ...! :o( See the 12FEB12 Update for the (somewhat lengthy) story .... and the links below go to an archived page. Little Words (1, 2, and 3), Singed Fingers, and Vowels 'r' Us ... and anything by Ms. Tedley. And, speaking of drills, have you downloaded these drills yet? ... and have you been to this page yet? I don't know if you noticed, but it seems that the links to download Speed Teacher have stopped working of late. To that end, I have available on ol' Cheap and Sleazy the Windows XP version ... as well as the file to make Speed Teacher work with Vista. You should probably right-click those links, and select "Save As" for best results. Of course, once Steve gets his links back in order, I'll pull these links down ... but until then, download away! This one I call "Be Like Mark." It's Mark Kislingbury's new site (due to some Difficulties with his business partner on the old Stenomaster site; see the update below). In case you don't know, he's the guy that recently broke the world speed record for steno (360+ wpm) ... and tried for 400 wpm at the NYC convention (no joy, alas ...). Mark has his own theory, called StenoMaster, which appears to follow the "Life's a Brief" method of writing. His drilling technique is somewhat controversial (see Chapter Two of "The Plateau") ... but he did manage to reach 360 wpm with 97.22 percent accuracy ... so perhaps there is a happy medium somewhere between the advice given in the afore-mentioned "The Plateau" and the StenoMaster theory. The trick, of course, is to find that happy medium. Mark explains the modus operandi of his practicing technique in the Mark Sez piece. .... BUT if you want to buy a copy of the original Stenomaster theory book, you can purchase one by either calling or e-mailing Mark's assistant, Samuel. You can reach him at 713-837-6595 ... or you can e-mail him at sammysteno (at) aol (dot) com. Mark has something called "The Magnum Steno Club," where he gives uber-fast dictation and shares appropriate briefs to use with it, all on video. Even better, he offers a free one week trial! To participate, go to Magnum Steno, and click on the picture. This is the site of Todd Leiter, author of the Mastering Machine Shorthand series, which includes Mastering Machine Shorthand, Volume 1, Finger Drills Plus/Proper Names, The 1350 Most Common Words, and the two volume set, 800 Most Common Depo Phrases, Volumes I (A - L) and II (L - Z). This site offers streaming dictation -- as in, you connect to the site, pick your drill, and it comes to you over the internet. Note that if you just go to speedbuilders.com, there's a rather annoying (and noisy!) Flash introduction (sorry Marc! ), so the link I provided above will bypass that particular page. Also note that these drills aren't free (you can't make any money that way, y'know ...). Check the site for current prices. Todd also speaks at schools around the country ... and from the comments on the pages where he talks about that, he is a very effective speaker! You should visit this blog often ... and I'm sure you firm owners will enjoy -- sort of -- "Stuff Court Reporters Like: Attorneys Who Lie." Margie Kruse: "Chaos in the Courtroom: A Court Reporter's Survival Guide"
Another blog you should visit often! As I write this (02NOV11), Margie's blog discusses the subject of interpreter depositions ... and answers the burning question: "Why can't a court reporter read back a discussion between the interpreter and the deponent when both are speaking a foreign language? It's just sounds, Margie." You will be pleased to know that Margie did not strangle the attorney -- this time. For $35 FREE!, digitalCAT is the one you want. It's not only cheap (but not at all sleazy, by the way), but it is easy to use -- and comes with the Cheap and Sleazy seal of approval (well, okay; it doesn't exactly "come with" said approval ... but it's implied by it being mentioned here)! Also note that unlike other CAT vendors, Stenovations isn't sending you a crippled version; they are sending you the FULL version! The only things that don't work are the captioning suite and a feature called Audio Depo -- which, if I understand the explanation correctly, allows you to put together a transcript complete with audio, so that your client can click somewhere in the transcript and hear what was said. As for the captioning suite, if you're a student doing an unpaid captioning internship, Sandra Jackson, the president of Stenovations, has some really good news for you! You can read it in The Good Stuff; look for the 13NOV05 update. 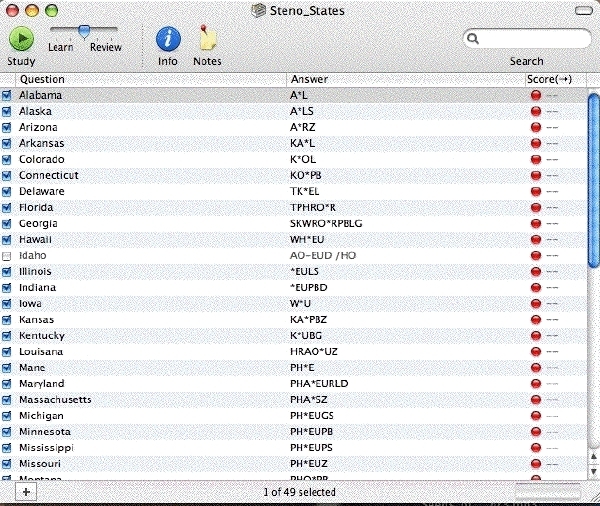 Need to steno directly into another program? digitalCAT has CATNip. I had to strike some of the last few paragraphs; seems that digitalCAT now ships with restrictions ... no, not the dreaded 50 page limit; instead, you CAN'T SAVE ANYTHING! a watermark ("WARNING! A STUDENT WROTE THIS! IT'S FULL OF ERRORS! "), CATNip no longer works, etc., etc. Fortunately, the price hasn't changed, but some of the accolades in the last paragraph are no more. Need to send someone your transcript in Microsoft Word format? digitalCAT has File -->Save As--> Microsoft Word. This feature makes it easier for me to print stuff on my school's computers. Note that the Save as Word thing is quite different from saving as .RTF. RTF files can be opened by nearly all word processors. Word files can be opened by ... Word (and a couple of open-source clones). Need to -- well, there's more, but I'll spare you. And don't get me started on the UI ("User Interface") and DC's "Ease of Use!" This is the course Marc Greenberg uses to teach his Siimply Steno students how to use CAT software -- specifically, digitalCAT. Marc is no longer selling "digitalCAT Made Simple," nor is he using digitalCAT with Simply Steno owing to the numerous changes mentioned previously, which basically made it impossible for him to work with DC anymore. What do you think? I dunno ... I kinda like it! If you're reading these words, you're on the internet (well, duh!) -- unless, of course, someone printed out this page for you. Assuming that's not the case, I have a small collection of forums I visit often. As with any endeavor, having a supportive community is very helpful when you have questions of one type or another ... and that's why forums are Good. I have been remiss in placing this link here ... but this Yahoo group is for court reporting students to share briefs, speed building tips, etc., etc., etc. ... and I have been known to place notices on what's new on ol' Cheap and Sleazy there as well ...! As this is a mailing list, I highly recommend that when you subscribe you either set the delivery method either web only, or daily digest ... otherwise, you'll have a *lot* of message traffic sometimes! This site, by Marc "Simply Steno" Greenberg, has an online magazine ("Steno Life"), a live chat every week, and a rather active forum. By the way ... I also have a Twitter account. Unfortunately, I don't actually say anything! That's what ol' Cheap and Sleazy is for! If you're taking Phoenix Theory (or even if you're not), the Phoenix Theory Forum is a great source of information for all Students o' Steno. There's questions (and answers) on speed building techniques, theory (and not just Phoenix Theory, but that is what the site is for), various flavors of CAT software, etc. The "moderators" have been around the field for quite a while, and between them, can answer (almost) all the questions put to them. Lots of info on this forum ... and it is mostly students, at various levels. If you were scared or intimidated by other sites you have found, this one will feel like home for you. The NCRA Forum has moved to new software, and a new host ... and you no longer have to be a member of the NCRA to access the forum, either ... but you do have to use your first and last name to register. This site has a lot of info ... and a rather amusing blog (archives are here) ... and a very informative forum. The site recently went through an upgrade to new software, but the old forum is still available. You can find it here. The old site is no longer available ... but you might be able to access it via Google. Definitely worth a stop, in your search for court reporting ... uh, stuff. Another forum, with a good mixture of students and working professionals. They've recently added some new administrators ... including Yours Truly! Eclipse users have the CR Net Forum. Lots of info for Eclipse users, but you can pick up some good tips here as well from the working professionals that frequent this particular forum. 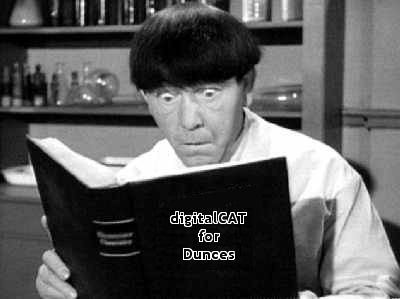 Not to be outdone, Stenovations has a support forum for digitalCAT users. Because the spammers were hitting the forum pretty hard, the adminstrators have taken it down and switched to a different version of software. You have to register again, and you can't post until you get a "thumbs up" from the folks at Stenovations ... but if that keeps the spammers away, that's just fine with me. Another forum I visit, though not that often, is Court Reporter Assistance. This used to be on MSN Groups, but that died a couple months back (February '09), and was replaced with this one on Multiply. Sorry I forgot to mention this one before ... but I honestly thought it was on here! You can help make up for my blunder by stopping by and signing up! Todd Olivias is a busy guy. He's a firm owner, runs the firm's website, has his own blog, and has a (relatively speaking) new kid ... so what does this busy guy go and do? Why, he goes out and starts up a site for court reporters and court reporting students, called Readback.org! The site is a place where you can ask (and answer!) questions from other reporters and soon-to-be reporters. Sure, you get points, but at the end of the day, you will also have the satisfaction of knowing that your answer helped someone out there ... so what's not to like? So stop on by, register, and start reading (and answering, if the spirit moves you) some of those questions! As my regular readers probably know, I'm a big fan of Stephen Shastay's work, and often point people having various steno Difficulties towards one of the entries in his blog on his (patent pending) Magic Drill. This blog has a calendar to assist with navigation. Unfortunately, even though the link I provided goes to the very first entry (14FEB05), the calendar is for the current month ... so you'll have to navigate to February 2005 to find the next entry ... and that is somewhat time consuming. When using the second blog, on the right side of the screen you will see three months worth of archives. Start with the May archives and work your way through the July archives. Once that's over, you need to go to the next (and current) blog. I have gathered all of these blog entries from the first two blogs into one Word document, which weighs in at a hefty 62 pages(!). Once I get the current blog copied and pasted into this document, I will (with His Steveness' permission, of course) convert the Word document into an .rtf document, and put a link there for everyone to download. I, um ... well, okay, so I forgot about it again! I did do some updating, but got to the point where the Top 100 Words were being presented, and ... well ... let's just say I had some problems making it work. I think I'll just build a 10 by 10 table and stick all the words in it; it'll make things easier for me! Yes, that's right -- I FINALLY gathered all of Steve's blogs into one massive .pdf (not .rtf) document! It weighs in at a hefty 126 pages ... and you can find it here. Unfortunately, that comes on top of some unfortunate news ... and you can read that news in the 11FEB12 update. Okay, so that link no longer works ... but I have all of them. If you need any, let me know, and I'll upload them for you. Yes, I know I could save a lot of time and just upload the whole lot of them, but I can't really do that without permission from Steve "Da Man Hisself" Shastay (and my web hosting service might complain! ), so tell me which ones you want, and I'll upload them. As to which one's are available, the fine folks at Web Archive.org still have the original page -- but sadly, only one of the .mp3s work! I've been remiss in not mentioning a couple of good links for Case Catalyst users who have yet to venture into the abyss known as macros. ... and if that's not enough, Hap (a.k.a. "Spoo's Kid") has put together something called "Hap's BriefIt Macro Timesavers." There you have it: A virtual college course in macros ... and best of all, each of these lessons are FREE! Everyone knows it's hard to argue with "free." New reporter Katiana Ball has a blog, in which she talks about how to build speed ... and since she went from 140 to 200 in two months, you should probably take her advice seriously ...! As I write this, one of her recent tweets said she was taking down a speech by Bill Clinton! Not bad for a new grad, huh? You might have noticed a lack of updates on Katiana's blog. If you have read through all of them, you probably read about how busy she is: She lives in Miami, and she is working ALL THE TIME! In these difficult economic times, this is a Good Thing(). Former fellow starving student Binita Shrestha's blog (she recently passed her final test) is usually an entertaining read (her description of her internship was quite amusing, as was her description of how she paid "BILLIONS OF DOLLARS" for her new Mira). She also includes audio drills created by her FSO (that's "Fairly Significant Other," in case you were wondering) as a free download. My only whine is you can't readily figure out which blog entry came first! :o( Still, entertaining reading. Woe be upon Binita's blog. ;-) Neither of us have had any time to update it. I've been wanting to make a proper site at the domain root but haven't been able to. It'll be a nice weekend project that I'll get around to in the next, oh, months. There the posts can be viewed in clumps by month or category. Enjoy. On that page Scott has a set of links pointing to each month, descending from the latest to the earliest, so readers can follow Binnie's progress through the maze known as court reporting school. While doing a Google search for a ProCAT Flash manual, I found a link to one of my responses to Binnie's blog. Knowing the archives were gone (see previous update, above this one), I clicked the link ... and it actually worked! A little more exploration and I not only found Binita's final (?) blog entry ... I found an Archives page ... and I just *had* to put the link here. I got even more interested when I saw that the audio drills Binnie's hubby did were up as well ... but when I tried playing them, they lasted for maybe a second. Maybe they'll fix that one ... one of these days. This site is for court reporting students living in the Great White North (you know ... Canada, eh! ), but it's also worth a look for those of us living in the Great Green South (or whatever they call us up there). One interesting thing about this site is if you visit the main page using Internet Explorer, a video plays of a student and a (more or less) professional stenoing away on their respective machines. Alas, I have yet to figure out how to hijack the video and convert it to something that Firefox users can actually see, but ... maybe one day. Of late, the Word Goddess page is down! That is, when I attempt to go to the page, all I get is a blank page. The author, Rachel Rosenberg, says the page will be down "for the forseeable future," but does not say why or when it will be up. In the meantime, you can see the archived versions of the page here. Also, using one of these archived pages, I did manage to download both the .wmv movies of the two students using their steno machines. Even better, I have converted those .wmv files into .mp4 files, so I will put them on ol' Cheap and Sleazy ... as soon as I get an okay from Ms. Rosenberg. Alas, she seems quite busy these days, so I don't know how long that will take ... but I'll send her an e-mail. I haven't figured out how to take the quiz with my steno machine as yet ... but the point here is to help me remember those 50 strokes ... and Genius (or jMemoriz) will help me to do that. 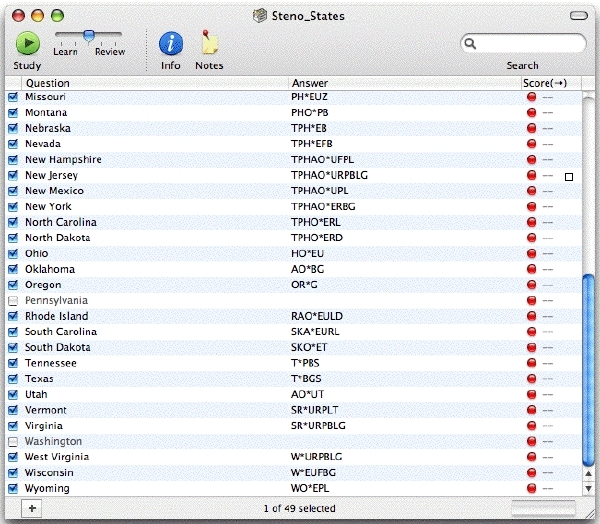 As for the "missing" states (you know ... the ones that don't have a steno outline next to them), they're waiting for me to find a true one-stroker for them! Once I do, I'll fill those in ... one of these days. Alas, the softwarefor.org site is long gone ... but the names of the important applications are here; just Google them! As it says above, CSR Nation is like My Space for court reporters -- but not just court reporters. Students, transcriptionists, scopists, videographers -- pretty much anyone who works (or studies) in this field can join. You can even customize your personal home page, and upload an .mp3 file for others to play while they read your life story! (mine is rather short; sorry about that!). If you haven't already, head on over to CSR Nation and sign up. Make sure you stop by my (cheap and sleazy) home away from home and say hi ... and if you're feeling adventurous, play the songs I've got up there. Some you may have heard on these very pages ... others, not so much. It appears that the latest version of digitalCAT has a version of Brifepedia built into it ...! Alas, due to licensing manager issues, I can't check this out on my Mac under Darwine -- er, WineBottler, but apparently, as you're stroking along, a window pops up and offers a suggestion for a word you're presently multi-stroking! This is Kathryn "Do-it-Yourself Shim" Thomas's blog, with the catchy title of "Stenoray's Continual Quest." I've only read a couple of posts, but I like what I read, that's for sure! Well. That's about all I can come up with off the top of my head ... but if I come up with any more, I'll be sure to update this page.